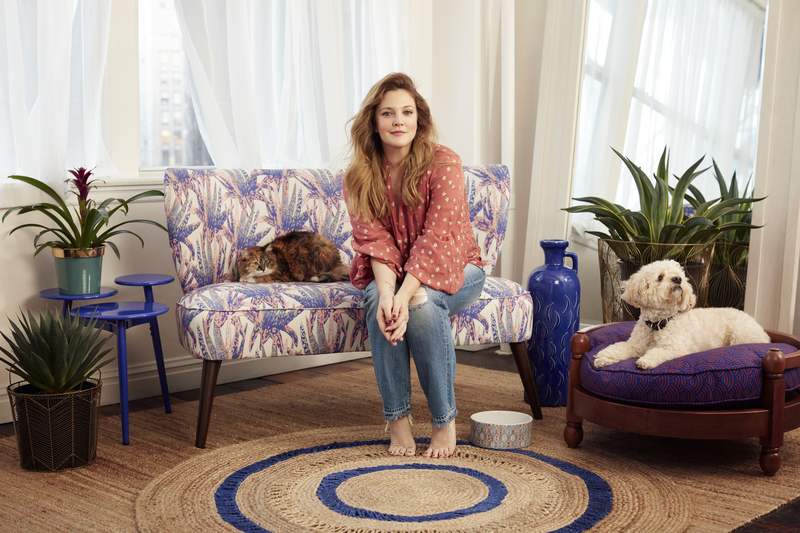 SAN BRUNO, Calif., March 28, 2019 – Walmart and Drew Barrymore announced today the launch of Drew Barrymore Flower Home, a free-spirited collection of furniture and décor inspired by Drew’s personal travels and familiar places she holds dear. The line is exclusively available now on Walmart’s family of sites, including Walmart.com, Jet.com and Hayneedle.com, with new collections launching seasonally. Our vision and purpose are for Walmart to be the most inspiring and accessible place online to design and decorate your living space while saving you time, effort and money. Drew Barrymore Flower Home is the latest addition to our high-quality, on-trend home assortment and another example of how we’re making a beautiful home possible for our customers.